There are many reasons to run your vehicles on propane (Autogas) instead of gasoline or diesel. You can enjoy significant savings, tax benefits, and environmental benefits, along with a longer engine life with less costly maintenance. When you make the switch to propane Autogas, you will be easily in compliance with emissions regulations and provide safer operation for your employees. Northwest Propane has converted more vehicles to propane than all other companies in Texas combined! We are proud to provide engine conversion and Autogas refueling services to a wide variety of customers. From public to private entities, school districts to state and municipalities, we are happy to help your organization save money each month by switching to a more efficient and eco-friendly alternative fuel source. Did you know that over 90% of all U.S.-consumed propane is made domestically, and 1/3rd of that is produced right here in the Lone Star State? Switching to propane helps our local economy and reduces our dependence on foreign oil. When you include the numerous state and federal rebates available for propane-powered vehicles, it becomes clear that propane is the preferred fuel for your fleet. When it comes to switching your fuel type over to something new, such as propane, business owners should look for numerous benefits when making the decision for their fleet of vehicles. For instance, propane is a non-toxic fuel, which means it is safe to use and you cannot get sick from the substance. 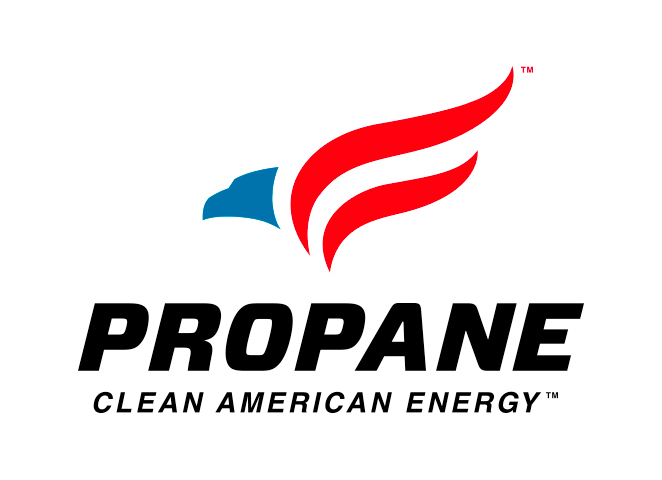 Second, propane has been known to burn cleaner, significantly reducing air pollution while simultaneously increasing engine life, improving performance, and ensuring less maintenance for the entire heating system overall. With such boosts to performance, it is no wonder why you receive more power from the system. When it comes to performance and efficiency, most vehicle owners are looking to save a bit of money on their monthly bill. Propane has allowed for many to push forward while saving money in the long run. This, paired with how easy it is to install the propane conversion kit, makes for an investment worth getting behind for most business owners. Switching your vehicles over to propane has been found to increase the overall performance and lifespan of the engine. Where you may have only had an average lifespan on your vehicles’ engines, switching over to a propane conversion system will ensure the engines run more efficiently for longer periods of time. With the increased lifespan comes improved performance and significantly less maintenance to handle with the entire fleet of vehicles. Overall, the vehicle’s engine can last twice as long when compared to a normal gasoline engine. The engine and spark plugs themselves in a propane-powered truck or car can last anywhere from 80,000 to 100,000 miles without any problems whatsoever. To top things off, propane-powered vehicles have the longest range of any clean-burning fuels currently on the market. That plays a significant part on the engine life. At this point, there really is no reason not to switch to propane. An autogas tank is designed specifically for use in the automotive and trucking industry. A tank of this nature takes up less space gallon for gallon when compared to a regular rounded steel tank. Also, an autogas tank often weighs significantly less than a steel tank, cutting down on the size and weight of your vehicle drastically. Of course, with more storage space, a higher capacity, and better performance, many find themselves saving money in the long run. When you consider it an investment, an autogas tank is a smart choice for any truck or car. There are many reasons to switch from gas to propane. The savings are paramount for most people. On top of the monthly savings, you can rest easy knowing propane is far healthier for the environment than any other fuel source for vehicles. Northwest Propane has been installing autogas systems in cars and trucks for many years now. Propane fuel conversion systems are healthy for the environment, save consumers money, and increase the lifespan of a vehicle. There are few, if any, downsides to switching to an autogas system in your car. The benefits are clear and outweigh any potential drawbacks. We are dedicated to utilizing the most innovative, reliable alternative fuel systems known to man, which includes propane. Along with performing conversions, we provide our customers with a cleaner emissions profile, a positive return on their vehicle’s investment, and an unparalleled experience. Whether you are working with a single vehicle or have a fleet of trucks ready to switch over to propane, Northwest Propane can tackle the job with ease. With certified technicians who convert and maintain autogas systems for a living, there is no problem we cannot solve. Most car owners are interested in increasing their fuel storage and cutting down on trips to the gas station; converting to autogas can help. Nearly any gasoline-fueled vehicle can be converted to autogas for a relatively reasonable cost. Our experienced technicians have the ability to install an autogas system in your truck or car, replacing the costly and inefficient gasoline-driven system that produces continuous emissions. By switching to autogas, you are compensated with numerous benefits. For starters, propane is a cleaner burning fuel source when compared to gasoline. With a cleaner burning fuel source, your engine will run more efficiently and last far longer. The benefits of installing an autogas system are unmatched. Give us a call or visit one of our locations for more information on autogas installations. Just like a regular gasoline-fueled tank, an autogas tank can spring a leak if not maintained or when put through heavy use. Depending on the size of the leak, our experienced technicians will use a repair epoxy compound to solve the problem. Such compounds were designed for fuel tanks and provide a quick solution to a potentially costly problem. On occasion, the damage to the tank is severe enough that the entire autogas system may need to be replaced. In such instances, a replacement is an ideal solution that will save you money in the long run. The same experts who installed your autogas tank can perform repairs and replacements on the system, ensuring you are back on the road in no time at all. Propane remains one of the most efficient clean-burning fuels currently available for vehicles. How efficient is the fuel? Well, most vehicles running a propane conversion kit will see their engine last for anywhere from 80,000 to 100,000 miles without experiencing any issues along the way. These engines also last twice as long compared to those running straight gasoline like your everyday truck does. Propane offers your entire fleet of vehicles the greatest mixture of durability, performance, and driving range of any fuel type available. If you happen to run multiple vehicles for deliveries or other work-related tasks, propane is the option to invest in. During the 21st century, propane will be the number one alternative fuel for vehicles on the market. Even government and private vehicle fleets have begun to switch to this alternative, as the emissions are less harmful overall. If you are interested in switching your fleet to clean-burning propane Autogas, contact Northwest Propane today! Call 972-247-6121 for more information.